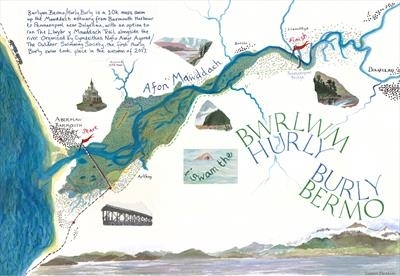 A hand painted map that celebrates the swim of the Mawddach Estuary in North Wales. This swim began in 2017, organised by The Outdoor Swimming Society. Like the Dart Map, this one comes with a card to attach if you have completed the swim.